Written by Peter Milligan. Story, art and co-coloured by Brendan. Colours also by Carol Swain. 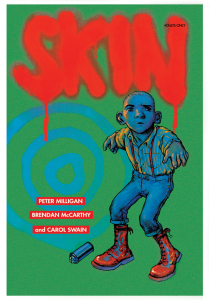 SKIN was the story of a young thalidomide skinhead in 1970s London, and his attempts to deal with his disability and the world in general. The strip was due to feature in Crisis in 1990 but the publishers’ (Fleetway) printers refused to print it, blaming the graphic language and controversial subject matter as a reason. 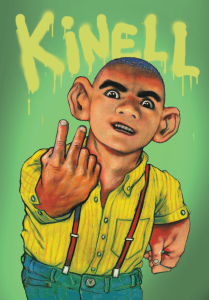 The comic was rejected by many other publishers until eventually Tundra Press got it out years later. 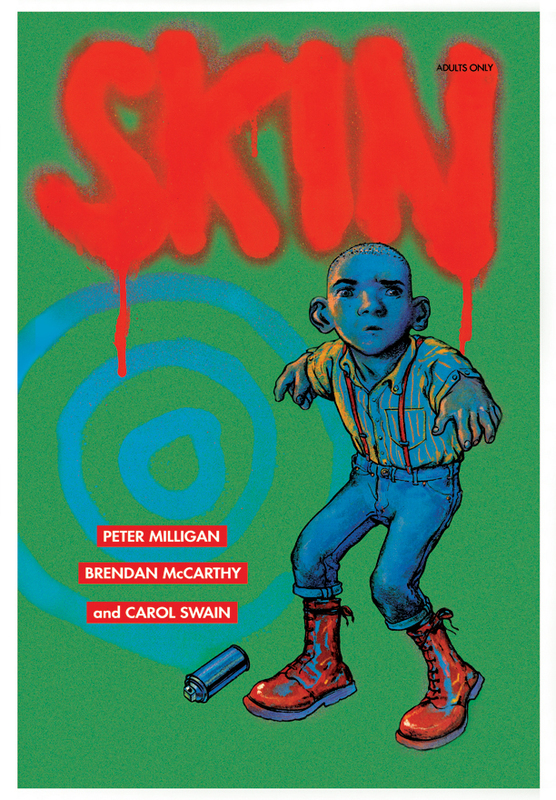 “SKIN is an excoriating attack on corporate villainy and cowardice, and its effect on one tragic, angry young man. Within those seething 48 pages is some of the most angry, poignant, bitter and tragic comic literature ever published. Published by the Tundra Press and collected in The Best of Milligan & McCarthy.